First of all, I would like to wish you all a Happy New Year and plenty of photo opportunities for 2015. I hope you will all agree the exhibition held at Nanadobbie over the last couple of weeks was a huge success, and I would like to thank all who participated. Considering the exhibition was put together very much at the last minute, it went really well and the location was perfect, being right in the heart of the town. In view of this, we are already considering options for our 2015 annual exhibition. At the start of the New Year, we have our usual third Thursday meetings at the Platform Office, and fourth Thursday Field Trips. Our next meeting at the Platform Office will therefore be on Thursday 15th January, when we can discuss future Field Trips and photography in general. Our next Field Trip will be on Thursday 22nd January, and one option could be to go to Plymouth, perhaps to the Aquarium and then stay on a while for some night photography around the Barbican. Perhaps you would like to put together some ideas and we can discuss this on the 15th. I look forward to seeing you all then and keep taking new photographs. Following our meeting at the Platform Office last Thursday, here is an update of the various points discussed. A stewarding rota was handed around and has now been virtually filled in, with just one or two slots to finish off. so if anybody has any comments or wants to change their slot then just let me know. With everyone's permission, I would also like to put together a contact list with mobile phone numbers etc. which may help if there are any issues with stewarding change-overs. Caroline and I have put our names down for the Antiques Sunday afternoon, but there are other times we can do as the need arises, on the basis if anybody needs us to stand in for them. Irrespective of that, we will probably be in and out most days to see how things are going. I think everybody is more or less on course with having their pictures ready, and Caroline is currently producing tags for the various photographs. The exhibition will be set up on Friday 12th December and we arranged to meet at Nanadobbie at 9:30am. If there is anyone who cannot attend on that day but are showing prints, please get them to me during the few days before and I will take them along and set them up for you. I had a call from David Cowen of Stable Art in Bodmin, to say that he would like to lend us some display easels if we would like them. I have accepted his offer, as they can be stood in corners etc. and give us some more display space. We will meet again at 9:30am on Saturday 13th December in preparation for the official opening of the exhibition. I would be grateful if any of you can bring along some nibbles/plate of food etc. Caroline and I are producing items such as order forms, sales sheets, a comments book and opening times notice. I will also bring some bubble-wrap, Sellotape and scissors for wrapping prints, but Marion has suggested it might be useful if we kept our bags and wrapping from Stable Art, so that if any of the large frames were sold then we would have adequate packing for them. As regards Monday evening workshops, I will be running the last one on Monday 8th December for any last minute framing/printing etc. so please let me know if you would like to come along. I will be doing more workshops but not starting again until the New Year. If there is anything else to discuss in the meantime, please email me or call on 01208 81100. We had an excellent well-attended meeting at the Platform Office yesterday afternoon, where we discussed the arrangements for the annual exhibition. Before going on to that, I would particularly like to thank Ronald for bringing along some very old photographs (1860s) for us to look at. These were superb images from the early days of photography, and I have asked Ronald to bring them along on another meeting, so we can have a closer look. As regards preparation for the annual exhibition, this is going well. Caroline will be producing a poster for distribution around the town, and there will be a freestanding board with details of the U3A Photography group including a price list for the different photographs. Caroline has offered to make labels to accompany the photographs, so please email me information such as your name, photograph title, brief description and EXIF data. Jane and Peter are very kindly making a stand for displaying unframed prints, and I would suggest that anyone who wants to display prints in this manner to let me know, and I can print them off for you and put them in a cellophane envelope ready for sale. These can be in A4 or A3 sizes. Lindsay has produced a rota for manning the exhibition, and I would therefore ask you to bring your diaries along on the next meeting, so we can confirm the stewarding schedule. The exhibition will be set up on Friday 12th December, to then be officially opened by Benedicte Bay (our local councillor) onSaturday 13th December. The exhibition will remain open on Sunday 14th, which is Lostwithiel's Antiques Sunday. Thereafter the exhibition will run from Tuesdays through until Saturdays, opening at 10am and closing at 4pm. Keith had suggested making 2 hour slots for manning the exhibition, and therefore (unless you are able to arrange other times) I suggest you allow for 10am-12pm, 12pm-2pm and 2pm-4pm stewarding times. It was felt it would be good to have two people in attendance during the exhibition at any one time. We will run through the details again and fine tune the arrangements at our meeting next Thursday 27th November. Please notethis meeting will be in the morning at 10am, again at the Platform Office. Something to think about - it has been suggested that £2.50 for the card sales is a little high and £2.00 has been proposed. I feel this is more realistic so something to agree at our next meeting. Our next meeting after that will be on Thursday 18th December, but this time at Nandobbie so we may review how the exhibition is going and see if anything needs adjusting, as this will be a few days after the exhibition has opened. I had not intended a meeting for the fourth Thursday of December as it is so close to Christmas, but we will need to arrange to meet at some time between Christmas and New Year, to take down the exhibition. As regards future Field Trips, it has been suggested we do another night time shoot, perhaps in Padstow. Another option would be to go to Plymouth to the Marine Aquarium. Therefore, I propose that on our Field Trip on Thursday 22nd January, we aim to go to Padstow in the afternoon and stay on after dark for some night photography. This will be somewhat weather dependant, and I will check the weather forecast a few days before. If it looks unfavourable then we may change the trip to go to Plymouth Aquarium instead. Looking forward to seeing you all on Friday 12th December, or before then if you would like any photographs printed. 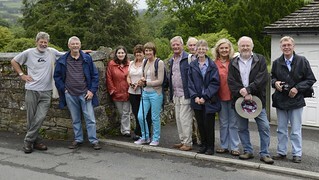 Thank you to all of you who turned out for our 'sparkling' evening at the medieval bridge last Saturday. I got the impression everyone enjoyed the night photography session. At our Thursday meeting at the Platform Office last week, we talked in more depth about the annual exhibition, which with everyone's help is coming together very well. Whilst the exhibition will only be there for a couple of weeks at Nandobbie, I think it will be a very worthwhile and successful event. We talked about framing, and I bought along a couple of samples I had put together by David Cowen (of Stable Art in Bodmin). These were fine black frames, which I felt looked very good. I also have 25 of the white frames available, should anyone want to take advantage of them. (Please refer to my previous newsletter for prices for all these types of frames). If some of you would like to use the white frames, please let me know as soon as possible and I will order in the necessary materials. However, I gained the impression many of you will be going to Stable Art yourselves to have photographs framed. We discussed trying to keep the appearance of the frames uniform, and whilst it would be good to do this, I feel there is some flexibility for mixing frames, as we will have various areas in Nanadobbie to separate the types. For example, we could use the black frames in the main room and white frames in the centre corridor. The two rooms on the left of Nanadobbie will be available, but one will be used for the Lostwithiel Bridge exhibition. However, there may be some capacity for us putting up more photos in the back room. So far, about 12 of you have expressed an interest in displaying pictures, and I would therefore suggest we allow for three each, which the space will hopefully accommodate. If not then two of each could be on display, with the spare held back in reserve or switched over during the exhibition. I will put together a selection of these, with a price list, so that prospective purchasers can see what they are getting when viewing the exhibition. I will also put together a stewarding rota nearer the time. As mentioned before, I shall be more than pleased to print the photographs for you, but you could also try some of the online photo printers or retail outlets that have printing facilities (such as Morrisons or Asda). At our next Platform Office meeting we can further discuss the printing arrangements etc. On the following Thursday, instead of the Field Trip, we will have a meeting in the Platform in the morning. Therefore our next meeting dates at the Platform Office are Thursday 20th November at 2pm and Thursday 27th November at 10am. The date for setting up Nandobbie for the exhibition will be Friday 12th December (to then officially open the following day). Looking forward to seeing you all at our next meeting. We had a really good Field Trip yesterday, when 10 of us took a train ride to St Ives to see the Modern Lens photography exhibition at Tate St Ives. I felt the exhibition was very interesting and thought provoking, so hopefully gave all those who attended something to think about. A good lunch in the Tate restaurant was followed by a walk on the beach. Despite leaving Lostwithiel in gloomy rain, the weather turned out to be fine in St Ives and I felt it was really good. So thank you to all who attended. The journey gave us time to discuss the possibility of holding our ANNUAL EXHIBITION this year. At this point, I would like to thank Lindsay for investigating various venues for this, as whilst the Library is a good space the current opening hours make holding an exhibition there impractical in my opinion. A venue has been found, and thanks to Mike Dobbie, he has allowed us the use of the empty Nanadobbie premises. This is a fantastic venue right in the heart of town and should provide us with plenty of coverage. There are two rooms on the ground floor, and the right-hand (larger) room will be used for our exhibition. The left-hand (smaller) room will be used for another photographic-related exhibition to publicise the Lostwithiel Bridge project, for which I hope you have all been taking photographs. The latter will be funded by the National Lottery Heritage Fund, and as such our Photography Group would get a free venue. Also, there would be no commission to pay for sales of our photographs. The space would give room for 20 or more photographs, perhaps as many as 30, depending on size. The dates of the exhibition would be Friday 12th December, to set up and hang the photographs, then an official opening onSaturday 13th December, finally taking down the photos between Christmas and New Year. 1. I would like to know how many of you would like to exhibit, so I can gauge how many photographs each of you can display. I would like to ensure you are all equally represented. 2. I would like your thoughts on the nature of the exhibition. You remember last time we had uniform framing and prints throughout, which looked very good. There have been suggestions of having smaller frames, etc. It could be that I provide the frames and printing as last time, or you could each make your own prints and provide your own frames. My only concern with the latter is it could look a little bit of a mixture, but it is your choice. 3. Unlike the Library, the exhibition would need to be stewarded. As regards opening hours, we are looking at perhaps Tuesdays to Saturdays, say from 10am until 4pm (maybe on the odd Sunday if there is something else happening in town, such as the Antiques Sunday the day after opening). The exhibition would need to be stewarded during opening hours, and as such it would require commitment from as many of you as possible, to give some time for this. It would involve perhaps doing a morning or an afternoon two or three times during the course of the exhibition. This of course depends on the number of volunteers. 4. As we do not have a significant amount of time to prepare for the exhibition, we need to act quickly. As such, a meeting at the Platform Office has been arranged at 10am on Friday 31st October for all interested parties to attend and discuss strategy. If you are unable to attend this meeting then I would appreciate any thoughts you have by phone or email, in particular if you are interested in exhibiting. I look forward to hearing from you on the above points. As regards the meetings for November and December, I would propose not having a Field Trip in November and instead spend the time preparing for the exhibition. Due to the exhibition dates, there would be no Field Trip in December. I will look into Field Trips for the beginning of next year and put forward some suggestions. In the meantime, if you would like to discuss any of the above, please telephone or email me. publicity materials and for image requests from the media and external organisations. 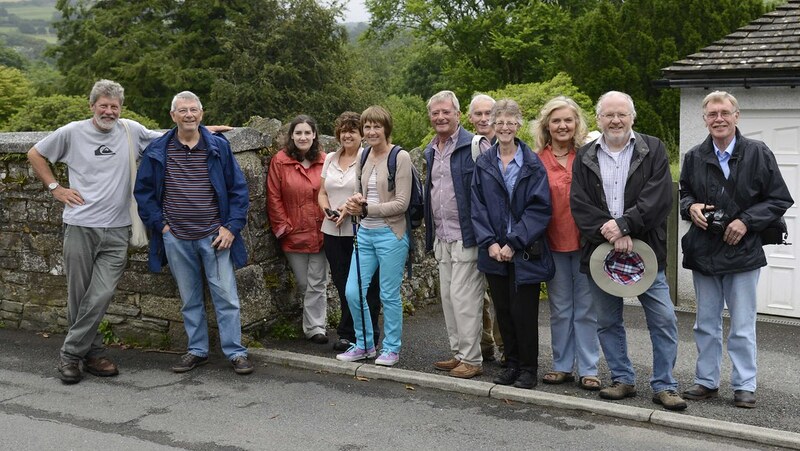 essence of U3A — learning, laughing and living." At our September meeting at the Platform Office, we talked about alternative ways of presenting photographs, such as slideshows using appropriate software. After discussion we agreed that in future Thursday meetings we would bring photographs from previous Field Trips for comment and discussion. "Just to let you know 5 attended yesterday's field trip (Carolyn, Anthony, Reuben, Peter and myself). We all felt it was an extremely interesting visit, so much historical artefact to see and realistic sound tracks with most exhibits, including a WWI trench with accompanying odour, very authentic! Lunch was taken in the NAFFI, not as glamorous as it sounds, sandwiches and a flask of coffee. Reuben, Peter and myself took the bus tour, we were surprised at the scope of the airfield and runways, with only a few derelict buildings and hard standing to tell the story." Whilst there was not a large turnout for the trip, it seems the venue was of particular interest and it has been suggested we arrange it again at some time in the future. Our next Field Trip, on Thursday 23rd October, will be to Tate Gallery St Ives, to see the photography exhibition (The Modern Lens: International Photography and the Tate Collection) and have a general look around St Ives. Train fare for groups £6.45 per person (no railcards) for return ticket. However, only valid with all returning on the same train. If anybody is not happy with the times chosen, please get back to be as soon as possible and we can always look at an alternative. Please note that in travelling as a group we get a discounted fare, but we must all return on the same train together. I am still looking at possibilities for our November, December and January Field Trips. If anyone has suggestions then they would be very gratefully received. I have also been thinking about the annual exhibition, should there be sufficient interest to proceed with this. I am not happy at using the Library as it is effectively only open two days a week and not a Saturday, so unless there is some change where freer access is available, I would suggest this is not a suitable venue. Whilst it is a little off the beaten track, it has been suggested the Red Store in Lerryn could be good venue. I am waiting to hear back as regards availability and costs on this. Other suggestions, such as the Scout Hut and Community Centre have been put forward, but again I am not sure these are ideal. Interest in the group seems to have fallen off over recent months, perhaps because of summer, and because of this it may not be worth putting up an exhibition anyway. I would much appreciate your thoughts on this. Lostwithiel Forum are putting on a series of shows that are very photography related. The first of these is on 18th November, with David Chapman, a highly regarded wildlife photographer. His talks are very entertaining and informative, and I would strongly recommend you attend (see poster as attachment). Another talk later on will be with Adrian Langdon, another extremely good and entertaining wildlife photographer. There are others in the pipeline, so I will keep you posted as to events being put on by the Forum. The talks will be at the Church Rooms and there will be a nominal entrance fee. I look forward to seeing you at the Platform Office for our meeting on the 16th, and at our Field Trip the following Thursday. On 13th August a few of us enjoyed a trip to Breney Common, where we were able to photograph dragonflies, damselflies and various plants, including sundew. Our resident botanist, Jenny, was able to give us some insight into the various plants. On 21st August, we had our Field Trip to the Garden House at Buckland Monachorum. Unfortunately I wasn't able to lead this but Caroline took my place. As well as the Garden House, Caroline also explored several other venues in the area, and these could make for a good Field Trip later on. At the last Platform meeting, we were able to project Malcolm's talk on Lightroom. This was very interesting, hopefully encouraging some of you to try the Lightroom programme. I have asked Malcolm to perhaps come along to one or two of our Monday workshops, if members would like some individual tuition on Lightroom. In future, our usual monthly meetings will be on a Thursday, with the Platform meeting being on the third Thursday and our Field Trip on the fourth Thursday. This will then give the opportunity of putting together some thoughts and preparation the week before the Field Trip. Therefore, our next meeting at the Platform Office will be on Thursday 18th September. Our next Field Trip will be on Thursday 25th September. Our September Field Trip is planned to go to Davidstow Airfield to visit Cornwall at War Museum. A Field Trip sheet is attached, and I would suggest arranging car sharing where possible. I am still running the Monday evening workshops if anyone is interested, so please email me or phone if you would like to come along. Just a reminder that we still need to take as many bridge photographs as possible, particularly when there are any activities going on. Industrial/engineering history, local heritage, aircraft, etc. First of all, a big thank you to John Pegg for heading our last Field Trip for another interesting tour around Lostwithiel, looking at the church and Restormel Road graves of servicemen from the first world war. At our last meeting at the Platform, Malcolm very kindly brought along his talk on using Lightroom. Unfortunately, we were not able to project this so I have asked Malcolm to try again and I will bring a different projector. We also discussed changing the Field Trip dates to a Thursday, and if possible switching the Field Trip and Platform meetings. Lindsay has kindly now been able to arrange this, starting in September. Therefore, our next Field Trip will be on Thursday 21st August, with the Platform meeting on Thursday 28th August. Thereafter the two will switch, so the September Platform meeting is to be on the third Thursday, and the Field Trip on the fourth Thursday. For our next Field Trip it was proposed to go to the Garden House at Buckland (see attached Field Trip document). Our September Field Trip will be to the Davidstow Airfield and Cornwall at War Museum, taking place on Thursday 25th September. More details on this next month. The following October Field Trip will be a train journey to St Ives to see The Modern Lens exhibition at the Tate Gallery. From the website: "this will be the largest display of photographic works ever to be exhibited at the gallery. Looking at developments in international photography from the 1920s to the 1960s, the exhibition uncovers the sense of curiousity and experimentation as artists harnessed the medium in new ways." I have also been promising a trip to Breney Common for a long time, and the best date I can manage at the moment is next Wednesday 13th August. If you would like to come, please contact me. I would suggest that as the venue is fairly difficult to find, we meet at my house and share cars to go down there. I would suggest going there late afternoon, maybe leaving here at 4pm. Thursday 21st August - Field Trip to The Garden House. I look forward to seeing you on these occasions. I am still running the Monday evening workshops for those who are interested. There are no more dates available during August, apart from one slot on the 18th. However I am taking bookings for September, so if you are interested then please get in touch on 01208 871100. First of all, don't forget the U3A Architecture competition mentioned in previous newsletters, as the closing date is approaching. You will remember I mentioned the Lostwithiel Garden Society annual Produce Show, which has a photography section that Caroline and I judge each year. It would be good if you could enter this, although for obvious reasons using photographs we have not seen before, as the entries are anonymous until the Judges' decision is made. The Produce Show is on Saturday 6th September and the closing date for entries is Wednesday 3rd September. Schedules and entry forms can be picked up at various points around the town, particularly the Community Centre. I will try and bring some along to our next meeting. It would be good if you could enter some photographs in this annual event. Don't forget that Carnival Week starts on 20th July (this Sunday) and you will remember we need photographs of the medieval bridge during various events throughout the year, as part of the Lottery Heritage Fund grant for improvements to the bridge. There are various events going on around the county over the next two or three months, such as traction rallies, etc. but there is also a medieval joust at Pendennis Castle on 29th & 30th July, which I feel would make a good trip and photo opportunity. Finally, don't forget our next Field Trip will be this coming Friday 18th July at 10:30am in the Community Centre car park. First of all, I would like to announce a bonus Field Trip to Walmsley Marsh with the U3A Birding Group. 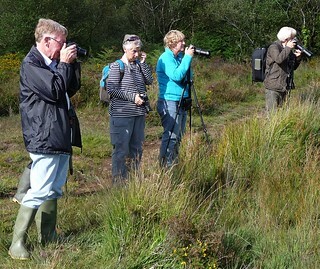 This is one of the first trips we did as a photography group and it presents a potentially good opportunity for photographing birds and other wildlife, as well as being a nice quiet spot to have a picnic. The hide is large and elevated and makes a comfortable viewing position. Alan May, leader of the Birding Group, has arranged this for Sunday 27th July at 4pm. Unfortunately, I cannot be there myself that day but hopefully you will be able to attend. You will need to meet in the lay-by next to Trewornan Bridge (Grid Ref: SW 987 743). This is quite easy to find, being on the B3314 road between Wadebridge and Rock/St Minver/Port Isaac. It is the bridge with traffic lights and there is a small lay-by on the left and a larger one on the right. I would suggest car sharing where possible, as the parking is a little limited. It is a modest walk across fields to the hide and I would suggest wearing walking shoes or wellington boots. If you have any queries regarding the Walmsley Marsh Field Trip, please call me. A reminder of our forthcoming Field Trip on Friday 18th July, where we meet at 10:30am outside the Community Centre for John Pegg to give us another but different guided tour of the town. Then there is our Thursday meeting at the Platform Office on Thursday 24th July, for Malcolm to give us a talk on photo editing and for me to talk about filters if we have time. Finally, thank you to all who attended the last Platform meeting and for sending me your photos of our model, Gabs. I have put them on a CD and given them to her with an offer to print any she would like. I got the impression this session was enjoyed by all and I can hopefully arrange to repeat it if you wish. Message from Photography Group Member Jeff Chapman. "St Hydroc’s Church at Lanhydrock is desperately trying to raise some £200,000 for roof repairs arising from our most recent Quinquennial Inspection. To assist fundraising the church are holding a Flower Festival Dedicated to a Celebration of Marriage. As you probably know, this little Church is one of the most attractive in the County and it offers huge potential for photo opportunities: the added bonus of a Flower Festival makes for spectacular pictures. There’s a further piece of good news (I hope! ): that is that the National Trust has agreed to allow visitors to the Flower Festival to declare their reason for visiting at the Main Gate; they will then be admitted free of charge and will be permitted to park in Church Circle (next to the Church) for a while. At last Thursday's meeting at the Platform Office, I bought along some studio lighting and we all had a go at indoor portraiture. There was a good turnout and in particular a big thank you to Gabs, our young model for the afternoon, who was very helpful and an excellent model. Also, thank you to the members who sent me a selection of the photographs they had taken of Gabs, I will print some of these and give them to her. In my previous newsletter, I had mentioned the possibility of changing our usual third Friday meeting to the third Thursday. There were no objections to this proposal, and quite a few members were in favour of it. Therefore, starting in August we will meet on the third and fourth Thursdays every month. It may not be possible at the moment but I am also looking to change around the Field Trip to the fourth Thursday, with the Platform meeting on the third Thursday. This will allow us to devote some time to planning the Field Trip for the following week. For next month, the usual third Friday Field Trip will apply, and as mentioned earlier this will be a tour around Lostwithiel with John Pegg (Field Trip notes attached). After that we will go to photograph the town bridge. If there is interest in going further afield, we could hire the Lerryn minibus for perhaps going to the Lizard, or other places a little further away. I have also been talking to Alan May, of the U3A Birding group, with a view to arranging a joint trip to Walmsley Marsh (just on the other side of Wadebridge). Here, there are hides and it may be this trip will be late afternoon/early evening, taking along a picnic. To some extent the best viewing will be tide-dependant, and I will liaise with Alan May as to the best time to go and keep you posted. Some of you may remember this was one of our earlier trips soon after the Photography Group started, and it would be good to go back there. Therefore, our next Field Trip is on Friday 18th July with John Pegg, and the next meeting on Thursday 24th July. Thereafter the meetings will be on the third and fourth Thursdays (Thursday 21st August and Thursday 28th August) with the possibility in the future of switching the Field Trip with the Platform Office meeting. Buildings, people, heritage aspects, etc. Our usual third Friday Field Trip this month was held at Lerryn. Six of us turned up for a walk along the river, and then along to Jenny Edrich's delightful garden and wild flower meadow for photographs and refreshments. I would like to thank Jenny for her kind hospitality and for allowing us to view her garden. There is a wonderful wild flower meadow, a pond with dragonflies, etc. so there were plenty of photo opportunities. Jenny has kindly invited us back at some time in the future, and I organise something with her in due course. On the Thursday before, a group of us returned to the Aerohub at Newquay, and as before this turned out an excellent day with good weather. Our next meeting in the Platform Office this coming Thursday will be set up to enable you to try some studio lighting, so do bring your camera and tripod (although the latter is probably not essential as the lighting will be by flash). Whilst going around Lerryn, we discussed possible future Field Trips. Our next Field Trip will be a guided walk around the town with John Pegg, and it may be we could move on somewhere else afterwards. After July I have nothing planned as yet, but you remember I mentioned in an earlier newsletter that there is a photography exhibition on at the Tate St Ives. It has been suggested we could go down to St Ives by train from Lostwithiel. If anyone has other ideas, please let me know and in the meantime I will try and think of some myself. One final point I would like your thoughts on concerns the days we meet. At present we meet on the third Friday and fourth Thursday, but a number of members have other obligations on a Friday. From my point of view, Friday is not always the best day. I am therefore proposing that later in the year, perhaps from our August or September meetings, we continue with our fourth Thursday meeting at the Platform, but change the third Friday to the third Thursday. I would appreciate your thoughts on this, and if anyone if particularly for or against this change then please let me know and we can come to a decision within the next month or so. However, for the present, our next meetings will be this coming Thursday 26th June at 2pm in the Platform Office, with a possible additional venue of Breeny Common in the evening. Should we go to Breeny Common, I would suggest you come to my house and follow me by car, as it is not that easy to find. If anyone would like to come to Breeny but cannot come to the meeting, please phone or email me for instructions. As regards Breeny Common, I shall probably make another visit there one evening, so again please contact me if this is of interest. Our next Field Trip is on Friday 18th July, when John Pegg is going to give us another guided tour of the history of Lostwithiel. Our usual fourth Thursday meeting after that will be Thursday 24th July at the Platform Office, when I am hoping Malcolm will give us a talk on 'Lightroom' and I may follow this with something about using filters. I will issue the next Field Trip details as soon as I have agreed the arrangements with John Pegg. We had our usual Thursday meeting at the Platform last week and several points were discussed. Lindsay had recently been to Tate St Ives and there is to be a photography exhibition there called The Modern Lens: International Photography and the Tate Collection. We agreed this could be a good venue for one of our Field Trips later in the year, maybe October or November. It is on from 11th October 2014 until 11th January 2015. We also discussed the lottery funding for the medieval bridge project. As part of this, it has been agreed the Photography Group will provide a Photographic essay of the bridge. This will include taking views of the bridge (to compare with older photographs) and in particular, the various uses of the bridge, such as the Christmas Pageant, the use of the beach in front of the bridge on summer days, etc. There will then be an exhibition of photographs in the museum window and hopefully something combined with our annual exhibition over Christmas. As well as general events, the bridge will be used during the Carnival (week commencing 20th July), for the Pageant (the last Saturday before Christmas), and for the Giants Parade (New Years Eve), so please take photographs. The lottery funding will cover the cost of our printing. Another project to get involved in would be food photography. We have spoken with Sally and Graham at Asquiths and if there is sufficient interest within the group, Graham would prepare dishes for us to photograph and then we could eat. Obviously we would need to pay Sally and Graham and I would suggest that if there is sufficient interest in this then you contact me and we can arrange details and prices. After our discussions, we then went on to practice some food photography, as well as flower photography for next month's visit to Lerryn and Jenny Edrich's garden/meadow. On that day, we will meet in the car park at Lerryn at 10am for a walk down the river, and thereafter go to Jenny's to photograph plants and hopefully butterflies. If you would like to bring a picnic lunch then we can all eat together. For our June Platform Office meeting, I will try and bring along some studio lighting and also try to find a willing victim to be photographed for a portrait photography session. For the July session, I am hoping that Malcolm will give us a talk on using Lightroom and is there is time I will talk about the use of filters. There are two possible additional events in June. The first of these would be a trip to Breeny Common, which is great for photographing dragonflies, wild flowers and rarer plants such as sundew. I would propose this on the evening of 26th June (weather permitting), after our platform meeting. As Reuben missed out on the trip to the Aerohub in Newquay (which he had suggested in the first place), Caroline and I have offered to take him on 19th June in the afternoon. If any of you would like to come along at the same time you would be very welcome, and I suggest we meet in the cafe there at 1pm. Therefore, forthcoming dates are: Thursday 19th June for Newquay Aerohub at 1pm; Friday 20th June for the Field Trip to meet at Lerryn car park at 10am; Thursday 26th June for our monthly meeting at 2pm in the Platform Office (please bring your cameras and tripods); Thursday 26th June in the evening for the trip a Breeny common. First of all, I wonder if any of you managed to get photographs at LostFest. If you did then please let me know as they could be used on the various Lostwithiel websites. 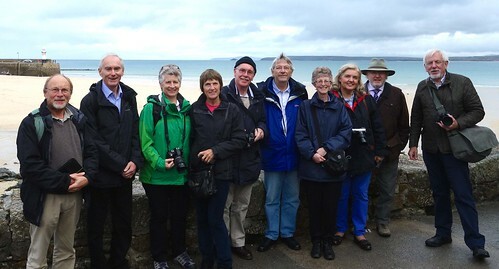 I realise I did not thank Malcolm for leading the April Field Trip, I was able to attend the May trip to the Newquay Aerohub and following on from that Bedruthan Steps, where we enjoyed taking tea and cake. Six of us turned up for the Aerohub and another for the Bedruthan Steps trip. The weather was extremely kind to us and I felt the day was very successful. The Aerohub was very interesting and gave some good photo opportunities. We then had a very pleasant hour or two along the cliff tops at Bedruthan Steps. For our meeting this coming Thursday 22nd May at the Platform Office, I will bring some items to practice macro photography for when we visit Lerryn and Jenny Edrich's garden for our June Fieldtrip. Just email or telephone me to let me know if you would like to come along on any of these dates. Hope to see you all on the 22nd at the Platform Office. We held our first meeting in our new fourth-Thursday home at the Platform Office. In particular, we discussed the way forward with the group and forthcoming events. Our next Field Trip will be on Friday 16th May at Newquay Aerohub (classic aircraft museum). Details of the Field Trip are below/ attached. Please note on this occasion we will be meeting at the Aerohub at 1pm and probably staying until about 4pm, then going on to a coastal venue for some evening photography and perhaps a fish and chip supper. Also, don't forget LostFest on Sunday 11th May, where there will hopefully be some good opportunities for street photography. We discussed the December Photography Exhibition and will be reviewing various alternatives to the Library, which because of its reduced opening hours, may not make the exhibition viable. Options include the Community Centre and Scout Hut, and some of us will investigate these over the next few weeks. In September will be the Produce Show in the Community Centre, which has a photography section that Caroline and I judge on an annual basis. It would be good for members to enter some photographs into this, although preferably ones we have not seen for obvious reasons. Another upcoming area of interest to watch out for are steam trains, which should appear on a regular basis over the next few months. Caroline and I went down to the railway station to photograph the steam train that came through Lostwithiel last week, and thought we had arrived in plenty of time, but the train turned out to be somewhat early. At least Caroline managed to get her camera out of the bag in time and take a photograph, which Keith has already put on the U3A website. I am still running the Monday workshops, and this month is full apart from one slot on 26th May, if anyone would like to put their name down. After that I will be taking a break for a couple of weeks and starting again on 16th June, continuing on a weekly basis as usual. Please let me know if you would like to be booked in on 01208 871100 or you can email me. I look forward to seeing you all at 1pm at Newquay Aerohub on Friday 16th May, and again at the Platform Office on Thursday 22nd May. For the meeting, I would suggest we do some macro/close-up photography (in readiness to photograph flowers at Jenny's in June). As such, please bring your cameras along and I will bring some things to photograph. For the June meeting at that Platform Office, I will try and bring some studio lighting and twist somebody's arm to come along and be photographed as a portrait session. Keep taking new photographs, as at this time of year there are plenty of events coming up. As well as LostFest there will be steam rallys, fairs, etc. all worth photographing. Industrial history, wartime aircraft, live flying planes, etc. Take the A30 towards Penzane and leave at the Newquay exit, taking the A39 towards Wadebridge. At the St Columb Major roundabout take the first exit onto the A3059 towards Newquay. Stay on that road for about 3 miles until you see the signs for Aerohub and Classic Air Force, where you turn right. Any problems, call their office for directions on 01637 860717. Apologies to everyone about the short notice provided for details of the steam train that passed through Lostwithiel today. Greater confusion was also caused by the train running about 10 minutes ahead of schedule through Lostwithiel! Despite this, Caroline managed to take a few pictures, including the one above. See http://www.railwaytouring.net/uk-day-trips/royal-duchy for more information. We had a good meeting in the Library recently, and we agreed and confirmed that we would now meet at the Platform Office by the train station, still on every fourth Thursday of the month at 2pm as usual. Our next Field Trip will not be on the third Friday but has been moved to the fourth Friday because of Easter. As agreed, a coastal trip has been arranged for this date on Friday 25th April, to meet at Pentire. Details are shown on the attached Field Trip notes, including directions. I look forward to seeing you all then. I am still running Monday evening workshops and will bring an updated calendar at the next meeting on Thursday 24th April. I still have dates during May and for anyone interested please call me on 01208 871100. I look forward to seeing you on Thursday 24th in the PLATFORM MEETING ROOM AT 2PM (Note new venue) the day before our Field Trip, so we can discuss tactics. Photographing coastal area, cliffside landscape, Cornish natural surroundings, etc. Leave A30 at junction signed Newquay/Indian Queens and take A39 then A392. Then follow A3075. Crantock is then accessed by unnamed roads. The 2014 National U3A PHOTOGRAPHY COMPETITION is now taking place. The theme is "Architectural Britain–old and new"
We had a great evening on 14th March when we visited Looe for some nighttime photography and a pub meal. Fifteen of us turned out on a cold evening, but hopefully that did not stop you taking plenty of photographs. I gained the impression an enjoyable evening was had by all. Last Friday we had our usual monthly Field Trip, this time at Geevor Tin Mine. Thirteen of us turned up, qualifying for a group discount. I felt the day went very well and the weather was kind. There are plenty of photo opportunities at Geevor and one day spent there is not really enough, so I may suggest a return trip later in the year or next year. Our next meeting is in the Library next week, on our usual fourth Thursday afternoon, 27th March. As many of you will probably have heard, the continuing budget cuts by Cornwall Council will reduce the opening hours at Lostwithiel Library, meaning it will be closed on Thursdays from June onwards. Whilst I would not wish to use the Photography Group as a platform for political issues, I do feel this is a very sad and backwards step. (The change in opening hours from 1st June as advised to me by Cornwall Council today are: Mondays 9:30am-5:00pm, Tuesdays closed, Wednesdays 1:00pm-5:00pm, Thursdays closed, Fridays 2:00pm-5:00pm, Saturdays closed). This also leaves me concerned regarding the annual exhibition at Christmas. Whilst we have booked the Library exhibition space, I wonder if it would be worthwhile due to the limited opening times (one full day and two afternoons only). However, this is something we can discuss in due course, and either decide to support the Library as best we can or find an alternative venue for the exhibition. To maintain our Thursday afternoon slot, I have provisionally booked the Platform Office at the railway station for future meetings, starting 24th April. Our next Field Trip would normally be on 18th April but, as discussed previously, this will clash with Easter weekend. As such, the Field Trip has been moved to the following week on Friday 25th April. For this I have suggested a coastal trip for some landscape photography, and would welcome suggestions for venues before I put together the next set of Field Trip notes. Godrevy, Bedruthan Steps or Crantock may be possibilities. As regards the Monday evening workshops, these are still available as long as you wish them. At present I am now taking bookings for April. If you are interested, please email me or call me on 01208 871100. I have to say I am very pleased the group is so enthusiastically supported, and I look forward to seeing you all in the Library this coming Thursday. 17 intrepid Photography Group members braved a chilly evening in Looe to try out their low light photography skills last Friday. Once the equipment was set up good fun was had by all, followed by fish and chips! When we last met in the Library, we did some tabletop photography and macro work. Hopefully you got some good photographs out of the session. We discussed a possible trip for low-light / nighttime photography, and I would propose returning to Looe next Friday (14th March). If you would like to come along, I will be in the main car park in East Looe at 6:30pm. As before, we could consider a fish and chip supper. Please make sure you bring your tripod, as some of the work will involve long exposure. Our next Field Trip is on Friday 21st March when we will visit Geevor Tin Mine (see attached Field Trip itinerary). There will be a wide range of opportunities for photographing different elements, such as interiors, old mine machinery, coastal views, etc. You will find it useful to bring a tripod or monopod for interior photos. There is a good cafe onsite, so you can buy lunch (unless you wish to bring sandwiches). Attached is a corrected Field Trip itinerary (please ignore the previous one sent) to confirm the correct time and that there is a cafe. We can car-share where possible, and at present I have one space left in my car if somebody would like a lift. As regards the Monday evening workshops, I am still running these are they are fairly well booked-up throughout March. I have one slot available on Monday 31st March and that is all this month. If you would like to come along in April, let me know. During the next Library meeting, on the 27th March, I will bring something along for another photographic exercise, so make sure you bring your cameras (and tripod if you have one) with you. Thursday 27th March - meeting at Lostwithiel Library at 2pm. Bring your camera and tripod. Our next Field Trip, which would normally be 18th April, has been put back a week due to Easter. Therefore, the Field Trip will be on Friday 25th April In the calendar I have indicated a coastal trip and would welcome suggestions of possible locations you would like to photograph. For example, Godrevy might be a good place to visit. Have a think about it and we can discuss it at the next library meeting. Cornish heritage & mining history. Photographing of derelict industrial objects and architecture. Coastal/cliffside photography. Our monthly Field Trip last Friday was to Cardinham Woods. Unfortunately, I could not make it myself and Caroline led the walk on my behalf. I guess with the current weather (although it actually turned out to be a nice day) and time of year, only three people turned up for the walk but it went well and plenty of photographs were taken. I had arranged for some low-light/night-time photography in the evening at Looe, with the promise of a fish and chip supper. However, this did not seem to be a sufficient incentive as only Caroline and I were there. Our next meeting is in the Library tomorrow (Thursday 27th February) at 2pm, when we will discuss the next Field Trip. I will also bring some items for table-top photography, and if you have anything for this that you would like to bring along, please do. Therefore, I look forward to seeing you all in the Library on Thursday. If you would like to attend, please call me on 01208 871100. Thursday 23rd January was the first meeting of 2014. Last year was very good photographically, culminating in our annual exhibition held in Lostwithiel Library. The exhibition was very successful in my opinion and I was very pleased with what we had all achieved and hope you were too. It would be good to build on this success and if see if we can do even better this year. I have already booked the Library for the same Christmas slot at the end of the year, so over the coming months we need to think about the format and theme. The first decision would be to choose the nature of the exhibition – i.e. whether it is to be themed. For example, we could have images of Cornwall, or simply have it ‘open’ as it was last year. There is also the question of presentation and the possibility of producing varying sized images, the smaller ones perhaps being easier to sell. The third-Friday monthly Field Trips were discussed during our meeting, and it is my intention this year to be somewhat better planned with them. I would like to produce a diary for the year, or at least a few months ahead. That way, the fourth-Thursday Library meetings can be used to get the best out of the forthcoming Field Trip and discuss what equipment to take, camera settings, etc. I would also like to make more use of the Thursday meetings and as well as discussing the Field Trips, also do more practical work – such as table-top photography, maybe the odd portrait session, etc. As with the field trips, I will produce a diary. I am still running the Monday workshops and will continue to do so as long as members find this of benefit. The workshops can be used to practice Photoshop skills, discuss camera settings, etc. Indeed, anything to do with photography. During the Library meeting we also discussed a project that would help with a Lottery Heritage Fund, to improve the appearance of the medieval town bridge. This would involve producing photographs to match those taken earlier in the life of the bridge, i.e. a ‘then and now’ photo set. Whilst not related to the bridge project, the ‘then and now’ series could be extended to the rest of Lostwithiel, and if put together in an archival manner would be of benefit to the local museum and anyone interested in the history of the town. As regards future meetings, we will continue to meet on a monthly basis for Field Trips, on the third Friday of the month, as well as in the Library on the fourth Thursday each month. For the present, I attach a schedule of Field Trips. Although at the moment it is far from complete, I will add to it as venues are agreed. As noted above, I will also produce a schedule for the Thursday meeting. Our next Field Trip will be at Cardinham Woods, as noted on the attached schedule. Please liaise regarding car sharing. I am always happy to take two or three people in my car. Adult £9.00 / Senior £6.00. Photographing spring flowers, landscape etc. First of all I would like to wish you all a Happy New Year and hope you will get out and take plenty of photographs. I would like to thank all of you who participated in the photographic exhibition we held in the library. In my view it was very successful and we made some good sales. All in all, it exceeded my expectations and I hope we can all move forward to another exhibition next year. I have already pencilled the time in the library diary. We received many good comments: “delightful pictures,” “really lovely work, well done all,” “real variety and quality,” “perspective and depth of pictures great quality,” “good range of topics and colours,” “very impressive, thank you for sharing them with us,” “absolutely wonderful, so impressed with the beautiful pictures,” “very good exhibition with some wonderful photographs, well done,” “very high standard and a great selection,” “quite inspirational, congratulations” and many more comments. All in all, I have been very pleased with the exhibition and hope you have also. I look forward to us producing more photographs for next year. We are due to have a Field Trip on the third Friday (17th January), but regretfully I am struggling with time this month. I would suggest we leave our next Field Trip until February. However, I would very much like to have our usual meeting in Lostwithiel Library on the fourth Thursday (23rdJanuary) when we can discuss future Field Trips, the recent exhibition and other matters. If you would like to come along, please call me on 01208 871100.